You can help us to conserve these incredible animals by donating whatever you can – every single dollar counts! 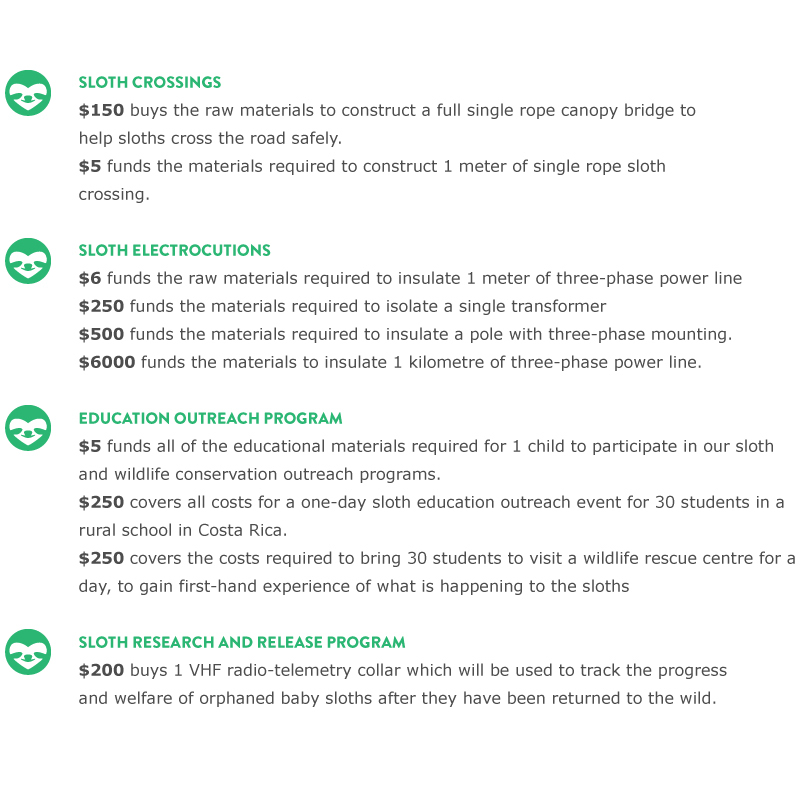 With your help, we passionately believe that we can make a positive impact to the conservation of sloths throughout Central and South America. 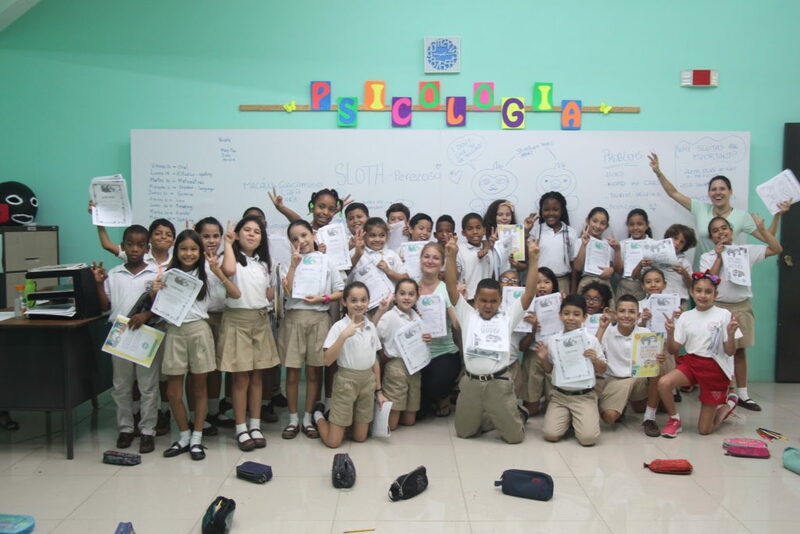 Together, we have the chance to really make a difference. 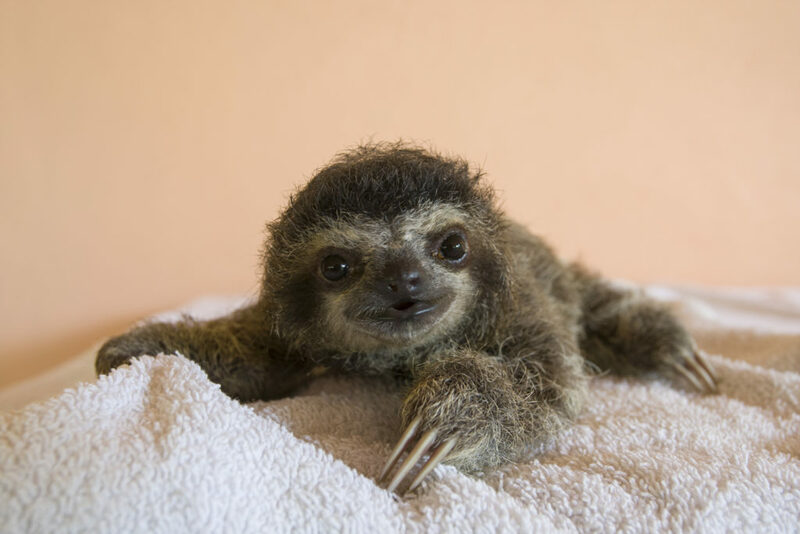 Sloths are the slowest mammals on the planet – they do everything at the same, measured pace. This isn’t laziness, but rather an incredibly successful strategy for survival! The sloths main predators (Jaguars, Ocelots and Harpy Eagles) all primarily detect their prey visually, and sloths move at a pace that simply goes unnoticed!